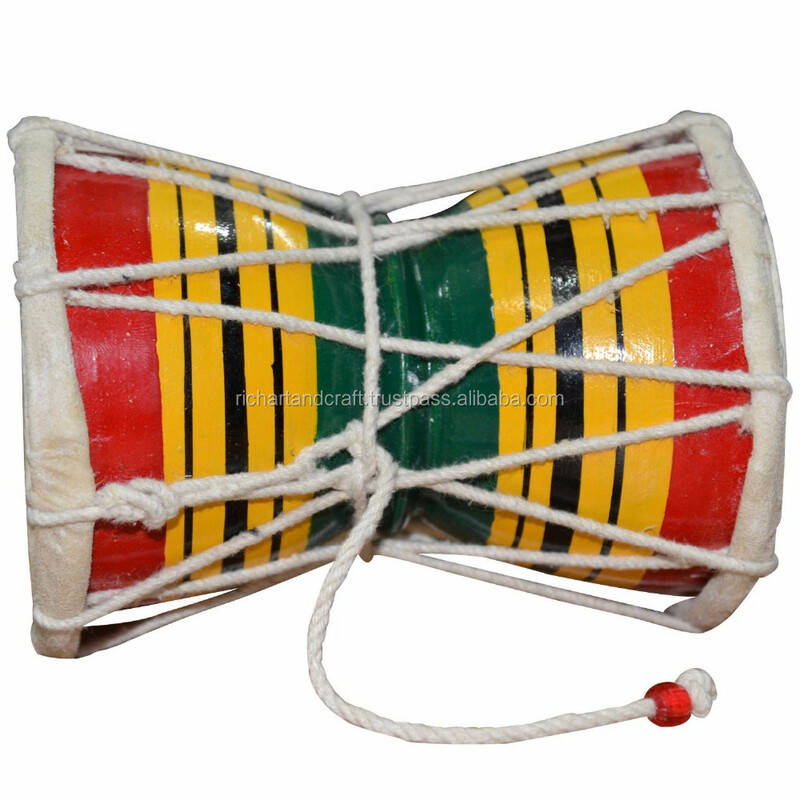 A damaru (Skt.damaru) or damru is a small two-headed drum, used in Hinduism and Tibetan Buddhism.Damru is known as the instrument of Lord Shiva. Damru was first created by Shiva to produce spiritual sounds by which this whole universe has been created and regulated. 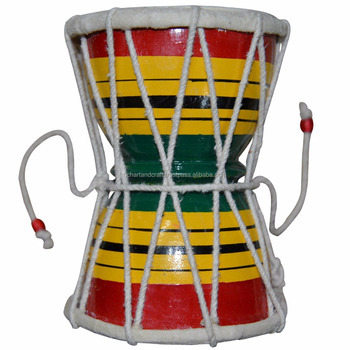 The drum is typically made of wood, with leather drum heads at both ends; the damaru might also be made entirely out of human skulls. The resonator is made of brass. Its height ranges from a few inches to a little over one foot. It is played single handedly. The strikers are typically beads fastened to the ends of leather cords around the waist of the damaru. Knots in the leather can also be used as strikers, also crochet material is common. 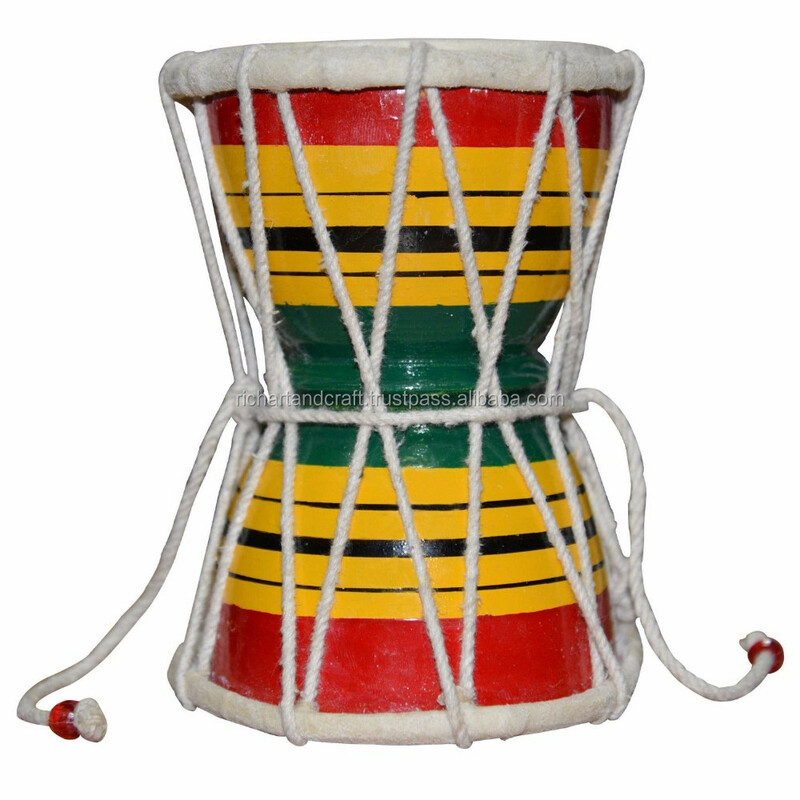 As the player waves the drum using a twisting wrist motion, the strikers beat on the drumhead.